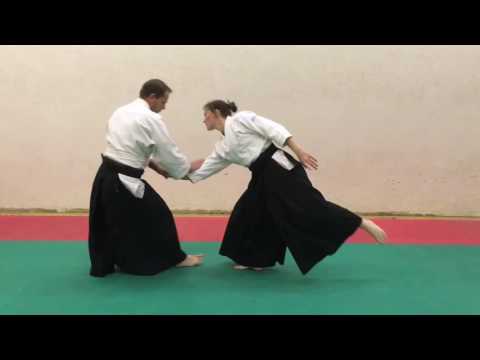 Rokkyo (sixth teaching) is a Aikido technique also called elbow arm barring pressure. 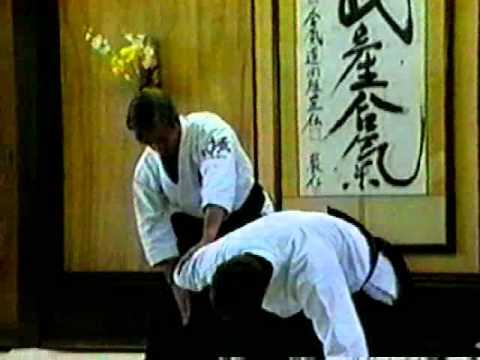 Rokkyo is used against a punch where you enter outside the shoulder, twisting the arm outside and upwards and bringing Uke to the ground by the shoulder. You can easily twist a knife from Uke’s hand after it’s done. 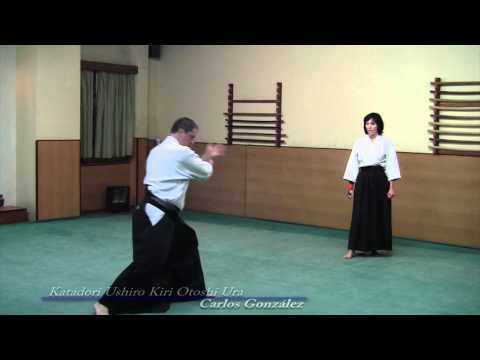 Gokkyo is a variant on Ikkyo designed specifically to avoid a knife in Uke’s hand. You come inside and grip the wrist in the opposite way and then always go outside to finish the technique.